We’re SEO is an industry which continuously revolves around the ever changing search algorithms; we use the latest in line tools and the most reliable methods to rank your web pages in search engines. The best way to reach out to your customers is through Mobile Marketing. It is one of the most cost effective marketing methods employed today and it helps you to stay ahead of your competitor’s. We at Sirius Digital Marketing understand the speed at which any information travels on the Internet, with our online marketing strategies we can take control of your reputation if you are fighting for one. SEO is a continuous process, This Part World changes daily…Just like Daily World. Sirius Digital Marketing firm specializes in SEO (search engine optimization), SMM (Social Media Marketing), Online Advertising, Content Management and Mobile Marketing. We have the tools and talent and we can help your business reach out to millions of web users all over the world. We have the expertise to turn visitors into leads and leads into customers and customers into the advocates of your brand. 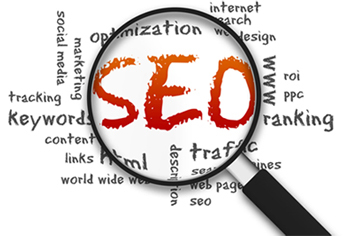 Websites which rank higher in search engines enjoy more traffic and hence more visitors. A reputed online marketing firm conducts keyword research, scans competition and analyzes the technical aspects of their client’s websites and offers a custom designed marketing strategy based on the available opportunities. We at Sirius use safe methods to rank your web pages by following search engine guidelines and offer rankings that last for a longer period. Search comprises of SEO and SEM, they are two different services, SEO is basically white hat best practices that webmasters follow to increase ranking of their website in search engines such as Google, Yahoo and Bing by driving more traffic to the site which is generated organically, on the other hand Search engine Marketing (SEM) comprises of paid ads, campaigns like ppc, cpc, ppm etc are all part of SEM which together form a very strong ranking strategy for a website. Social media is a platform which compliments search engine marketing and is an integral part of every SEO strategy. Social media sites like Facebook, Delicious,Twitter, Pinterest, Google+, Instagram, Youtube have billions of visitors each month, it offers a platform to website owners to promote their business. Social media sites like twitter allows people to share updates through short messages while facebook offers the whole package of sharing updates through pictures, videos, joining events etc. Increased usage of mobile devices has given rise to mobile marketing. Smart phones have changed the marketing strategy completely from QR codes to mobile applications to mobile websites; to survive in marketing world every digital marketing agency should have mobile marketing strategy in place. Mobile Marketing reaches out to customers when they are not using their traditional desktops and are away from internet. ‘Knowledge is Power’applies to content management, content is the ‘King’ when it comes to ranking a websites in search engines, there is nothing more valuable than relevant research based content when it comes to promoting a website, it is present in the form of articles, titles, news, blogs, social media, email etc. the purpose of content marketing is to attract and retain visitors by creating relevant and valuable content, it is an important part of any marketing strategy and emphasizes on owning media and not just renting it.